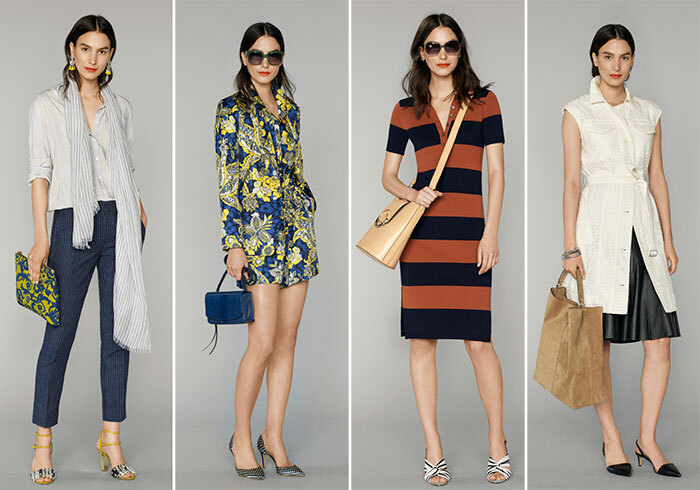 With its jocose pieces filled with bright colors and contemporary designs, the Banana Republic summer 2016 collection may be described as a Friday in a world of Mondays. The American brand, famous for its elegant and modern lines, has just unveiled its newest SS 2016 collection, and will make us all have the desire to wear the same outfits from day to night, from working in the office to having fun at a night out with our friends. Now, that we have the collection photos available, everybody hopes it will soon arrive at Banana Republic website and stores, giving the brand’s devoted customers a chance to inject a happier touch to their wardrobes. It has, in fact, been a tough year for the label. The sales are currently decreasing, and Marissa Webb, Banana Republic’s creative director, stepped down from the position less than 5 weeks ago. 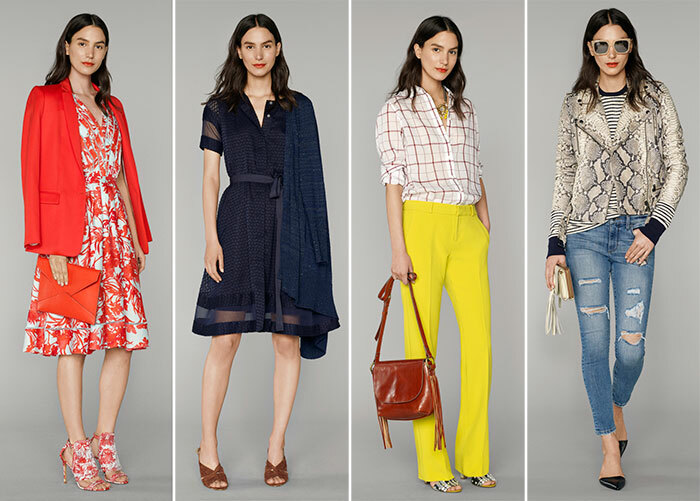 It was thus the label’s senior vice president of design, Michael Anderson, who directed Banana Republic’s design team, taking it to an inspirational trip to the South in order to create one of the brand’s most joyful collections. “The South is known for color and prints and its joy of life, and also for dressing up a bit,’ Anderson said. Besides taking its team to the South, Anderson did not forget about Webb’s heritage and attention to details, putting a lot of efforts into creating statement pieces that could enhance the label’s renowned elegance. Webb, whose departure is still haunting Banana Republic’s headquarters, still plays an important role within the brand’s team, and is currently working as a part-time advisor. “Marissa was great at making us think about the details. She was always happy with how the men’s collection mined the brand’s heritage and integrated utility into the clothes, which is important because that’s a differentiator for us,’ Anderson told WWD. As usual, the Banana Republic summer 2016 collection is all about business-wear, the elegant appeal of which has this time been switched in favor of a more outerwear-friendly line-up, overwhelmed with colorblocking motifs and ruffled embellishments. Yellow, blue and red are the collection’s most recurring colors, and often combine their forces into creating retro-looking designs that adorn both the dresses and accessories. From shoes to sunglasses to earrings and outfits, the line-up has it all, and asserts itself as the ultimate office-wear paradise. The entire collection, which may be divided into blocks of colors and patterns, features uber-feminine outfits with a big dose of delicacy. Floral designs embellish both A-line draped dresses and flattering jumpsuits, at times combined with scoop necklines. Stripes are one of the biggest spring 2016 print trends utilized here, as seen on the slim-fit long dresses and wide-leg ankle-length pants. Blouses and t-shirts with cascade collars, collarless shirts and ruffled dresses alternate the line-up’s slightly more boyfriends looks composed of straight-leg trousers and shell blouses, while ethereal sheer fabrics and intricate floral embroideries create a good contrast with the collection’s sleek fabrics and fringed adornments. Last but not least, flared skirts and oversized cardigans play a key role in the collection, unanimously being a feather in the cap. 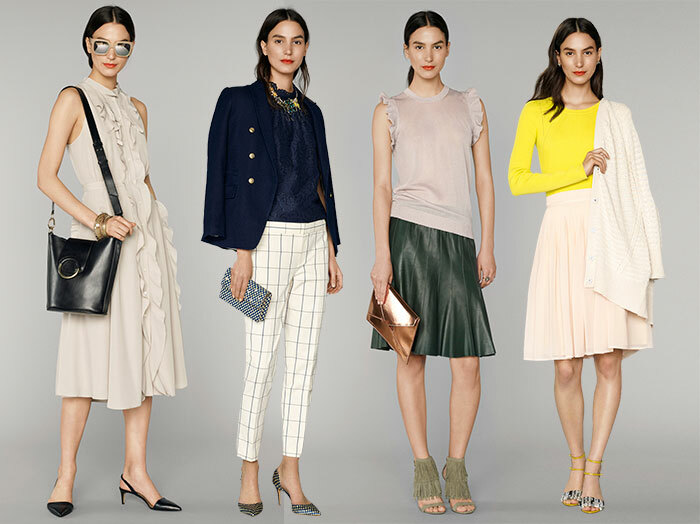 Let’s hope Banana Republic’s southern look will help the brand find its own new way into the fashion industry!